Nail art seems difficult for a lot of us. The intricate detail and the designs can be a little intimidating, but it is nothing some guidance and a little determination cannot achieve. Here’s a step by step guide to creating your very own nail art! and a few nail colors of your choice. Surf the net or look up nail art on our own site for the design of your choice! If this is the first time that you are attempting to create nail art, be sure to keep it simple. Even if the design looks simple, it’s important to get it right. There’s no point picking a design that you could fudge, is there? Just go for some cute stickers, or a simple polka dots design for your nails. Simple designs are easier to achieve and it’s less likely that you will get them wrong. Even if you aren’t wearing a nail polish, rub your nails with nail polish remover to take out any dirt or any remnants of previous nail polish. While you are at it, give them a soak in warm water and a scrub with a brush. If you have a cuticle problem, apply some cuticle cream on your moist nails and let it moisturize the cuticles. 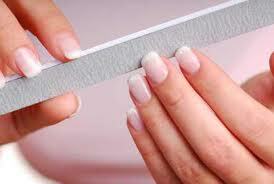 Then, use a cuticle remover to neatly, but gently remove the cuticles. This may be tricky if you are not used to it, so you could get someone else to help you out. The key to a perfect nail art design, is a good looking shape. Ideally, the shape of your nail should mimic the shape of you nail bed. So if you nail bed is round, go ahead and file for those perfect round edges. A simple trick to get the perfect round shape is to cut the side of nails diagonally, so it is just a matter of filing out the pointy ends. The effect is much smoother and better looking. You could also go for a square base with a round edges on the top, which is better than totally square nails because it has much lesser chances of chipping. Pointy edges were never the original body type, for a reason. 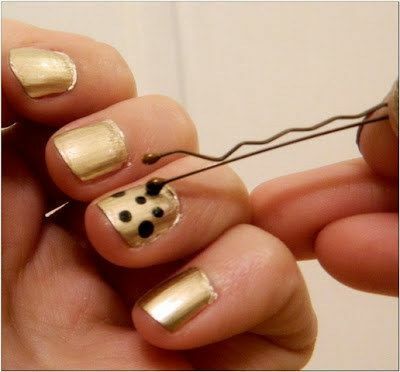 Before you get started with the nail art designs, just put some tape on either side of your nail and at the bottom. If you have no tape at hand, or if this seems like too much effort, simply opt for petroleum jelly. 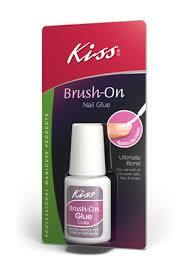 This keeps the nail polish from adhering to the sides of the nails as creating nail art can be a messy job. Start with a base coat. This preps your nails for the nail color and helps keep it even. It protects your nail from the chemicals in the nail color, so that when you take it off your nails don’t look yellow. Find a base nail color that has hardening, strengthening properties so that while you are creating your nail art, your nails get nourished as well. If that is not reason enough, a base coat also helps keep your nail polish on for longer, which means your nail art will stay intact for a longer time! So no excuses, don’t skip it. Now, here is where we are all comfortable. 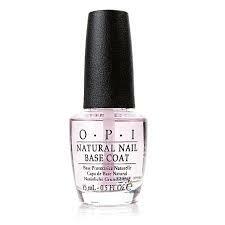 Take the nail color for the design that you have chosen to replicate and apply two generous coats of it. Always start at the center of the nails and fill in the sides. 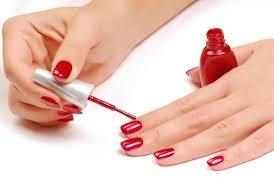 Two coats of nail polish are better than one because that will ensure that your nail color lasts for a longer time. It also gives you a thicker base to play with. But before you go ahead, ensure that your nails are totally dry. It’s finally time for the fun bit. If you have chosen to apply stickers, bring out your nail gel or nail glue. Apply a small amount of nail gel on the back of the sticker, or if the surface is not much then apply it on the nail itself. Then, using your tweezers carefully place the sticker on the nail. If the gel is oozing, press the sticker down with an ear-bud and use it to wipe away the excess glue. The important thing to remember is to be extremely gentle and still. A small wrong movement can easily ruin your design. 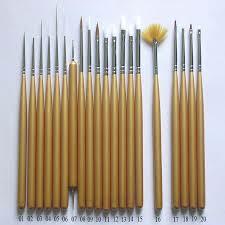 If you have decided to go for the polka dots design, then pick up your dotting brushes (the thin ones) or your bobby pins. 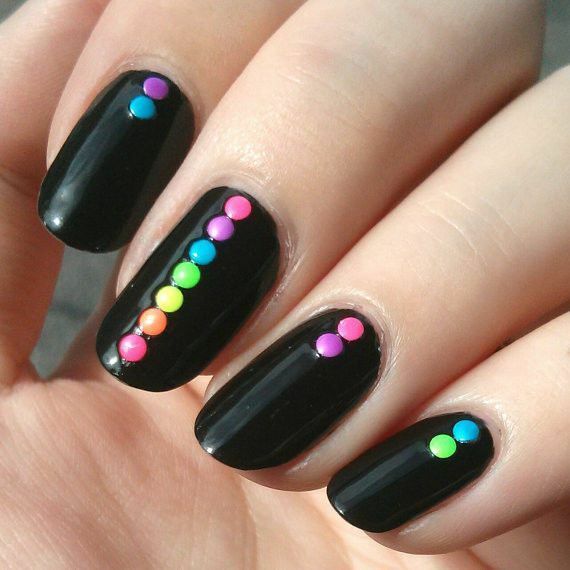 Dip it in the nail colour which you have chosen for the dots and gently apply it on your nail. Remember to take small amounts of nail colour as it can easily be increased if required, but decreasing it requires special effort. You can use different colours to give this nail art designs a funkier, cooler looks. Now all that remains is for you to click a picture and show us how it turned out!